1st May 2008. In this Issue: New GPS and Mapping products in the ExplorOz Shop, New Geo-coded Tools, Site Development Blog, 3 New Treks and Latest updated Treks. As ever, it’s been a big fortnight here for the ExplorOz Team. The new Blogs means there’s always something stimulating to read about other people, plus the site is undergoing major attention from the web-developer so things like performance, mapping engine, user profiles and so on are receiving plenty of attention. But to top it all off, our content coordinator has been busy pumping out tons of newTrek Notes, updating and revising many existing ones and working with all the wonderful people that contribute content. Please don’t forget that user-contribution is what makes ExplorOz so unique and powerful – you can add photos easily to Places, uploadplot files, tell us about recentRoad Conditions in the interactive reports, and so much more. We encourage you to support ExplorOz by using these interactive tools – each little thing makes a big difference to the whole. 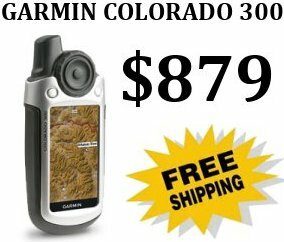 New to the ExplorOz Shop is theGarmin Colorado 300. As an introductory special, we are offering FREE shipping and a FREE 1GB MicroSD Card containing a Topographic Map of Australia. Hema Maps have just released the 'Explorer Card' concept to deliver digital maps. How it works is that you purchase a download card that contains a unique license number that will allow you to download a digital version of the map you want from the Hema Maps website. Hema Explorer Cards are now available forPilbara and Coral Coast andCape York. Plus, each of the following treks have been fully revised with new information, mapping and photos. Within Places, each waypoint is now featured on the map with a nice little call-out bubble where you can select Driving Directions from anyplace in Australia, or browse maps/books servicing that area. This means you can effectively plan your ownTrek Notes so it's the ideal place to start looking to devise routes. We are still keen to see more Places being added and encourage you to update existing places. Strictly for the technical minded – now you can engage in the technology and development issues that occur behind the scenes to create ExplorOz.com. If you want to find out what we’re working on, or even get involved and talk with David about it, take a peek inside theSite Development Blog. Our newsletter is distributed to 30,180 subscribers on a fortnightly basis.